MOF-5 (sometimes called IRMOF-1) is a metal organic framework (MOF) formed from Zn4O with 1,4-benzodicarboxylic acid between the nodes. The spheres represent the pore size that can be used for gas storage. 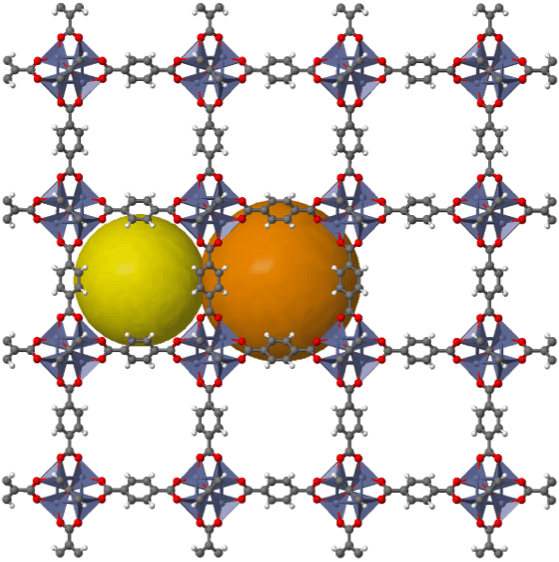 There is an IRMOF series based on this MOF. IR stands for isoreticular which means it is a series of MOFs with the same topology, but different sized pores.